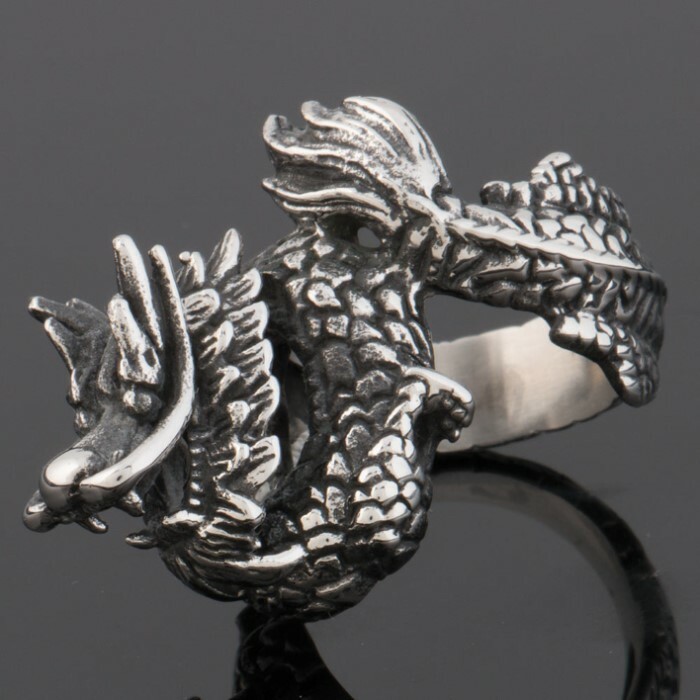 Intricately detailed, you will definitely get compliments on this piece of jewelry. 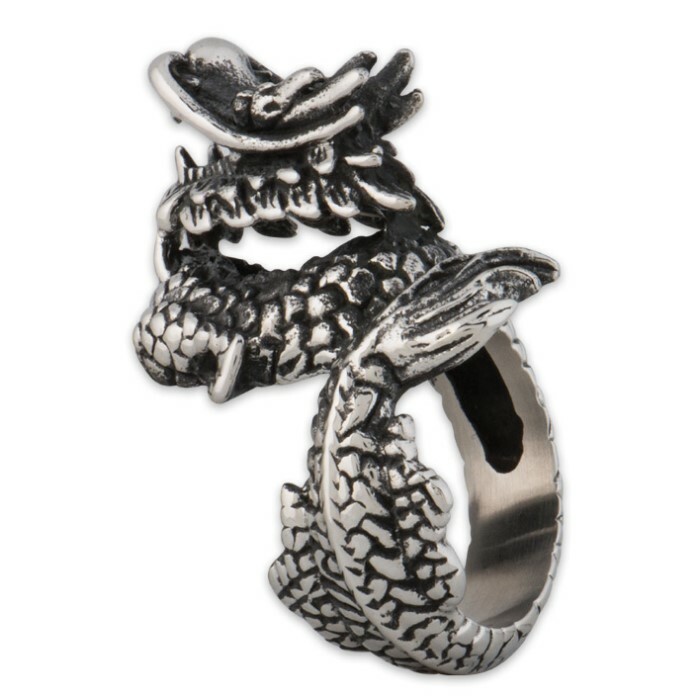 Wear a dragon curled around your finger and watch heads turn! 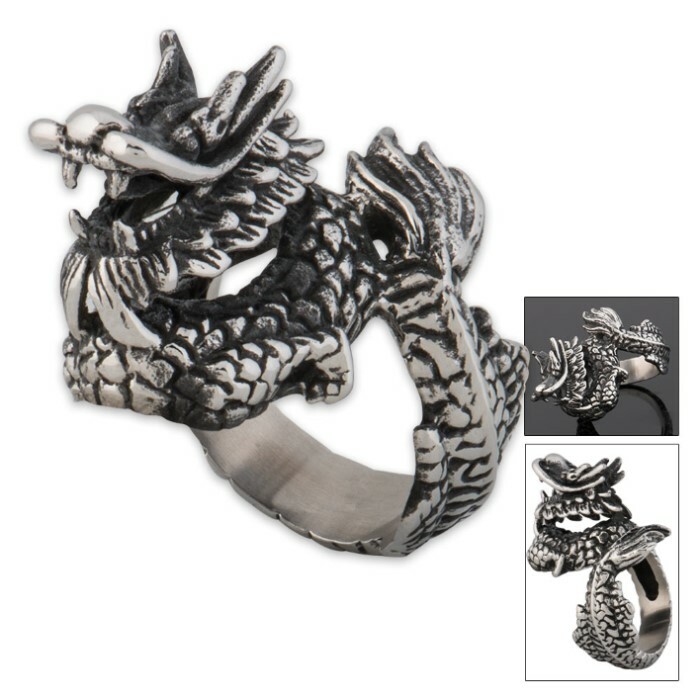 It is constructed of rust-resistant stainless steel and features a incredibly detailed dragon design. The tail of the dragon actually curls around your finger. It comes in sizes 8, 9, 10, and 11.